With the images of music websites that interested me below, some are of the genre which I plan to use my music video whereas others are bands or artists which I personally like and whose website I think work really well. 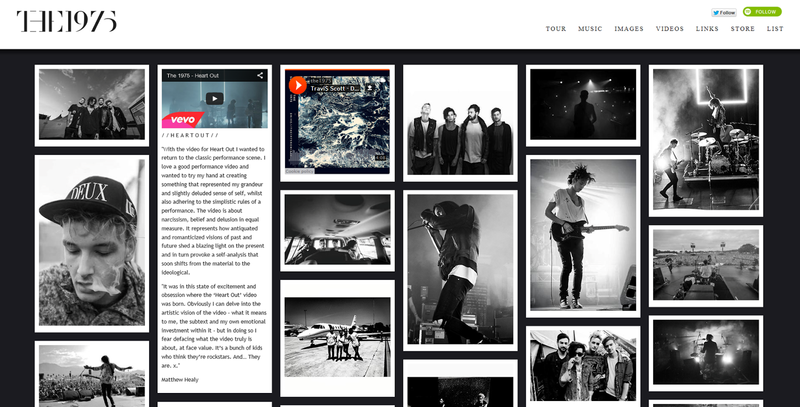 The simplicity and minimalist approach of The 1975 website, creating a collection of images which you can scroll through is a great style I think. I also like how the viewer can click on images to enlarge them. The background's opacity decreases to focus on the foreground. 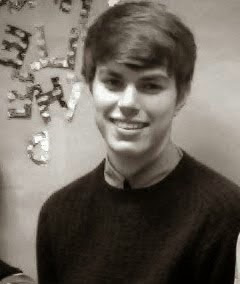 The band's image (Black and White) is maintained throughout. 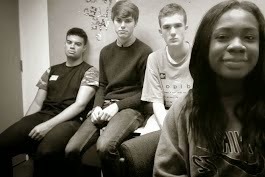 The way in which the AlunaGeorge website advertises the release of the new album on the opening page is quite effective. A large image of the album cover is the backdrop to the site, which is a good idea for an independent artist trying to promote the release of a new album. The header of the page gives a list of web pages in a simple drop down format. 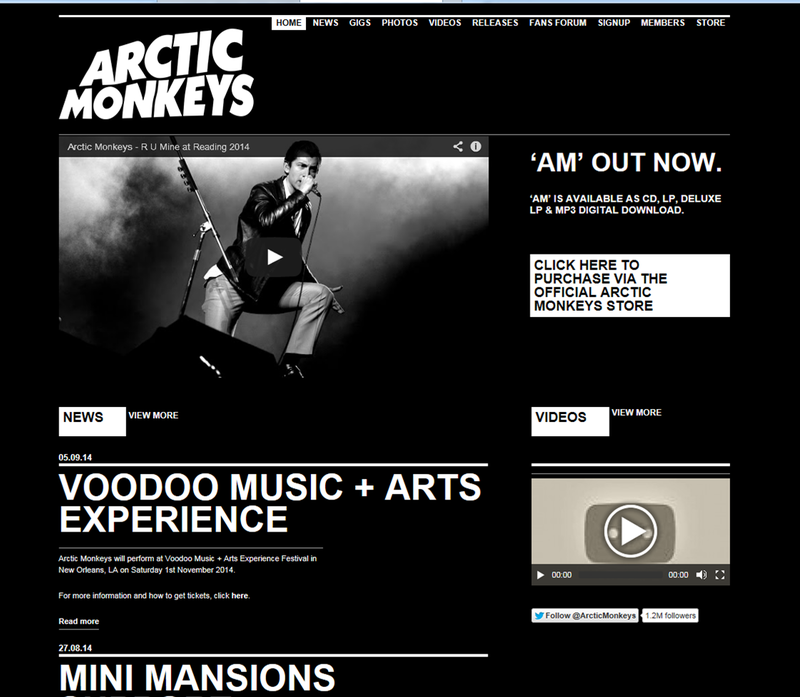 The Arctic Monkeys website is all black and white, which complies with the band's image. I think that maintaining band image is important so it would be a good idea with my website to have the colour scheme the same as the band's album. 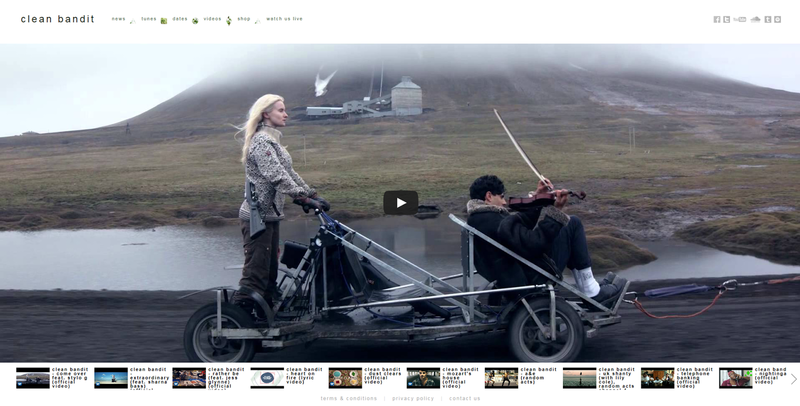 Clean bandit's website is again really simplistic yet effective. 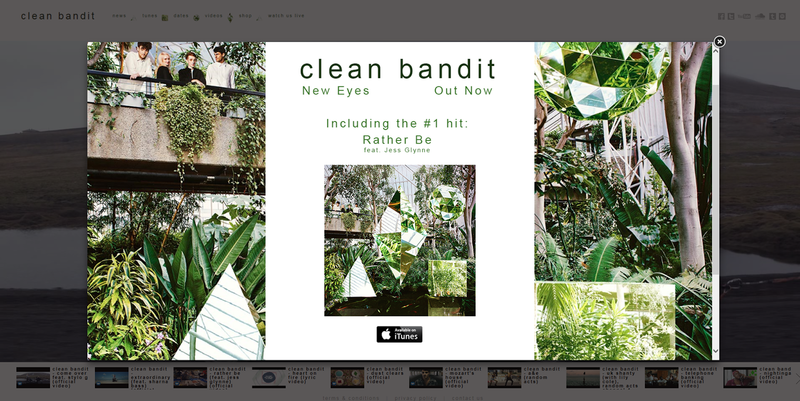 On entering the site, a closable pop up advertising the band's first album is shown, with a link to iTunes. This is a good promotional tool as it forces the viewer to view the advert, but also allows them to close it. I think the reason it didn't annoy me similar to other pop up adverts is because it's stylised to the website and visually pleasing, which is something to bear in mind. 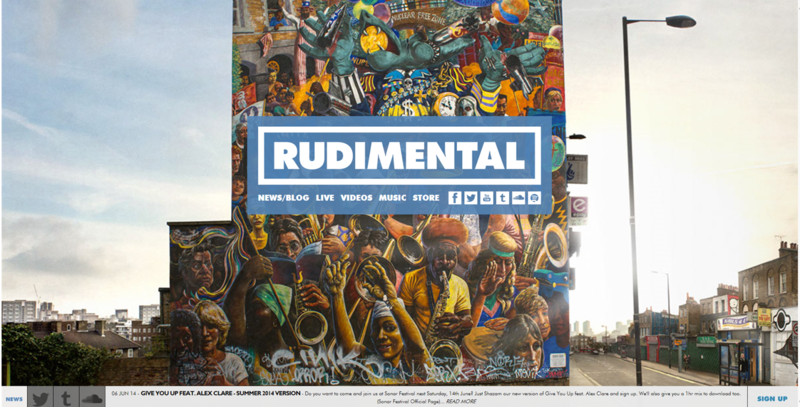 Similar to the AlunaGeorge website, Rudimental have used their album cover as the background to their cover page. The minimalist logo they have and the capital lettering makes for a really stylised page. The layout is well thought out and easy to navigate, which are key features for a website. 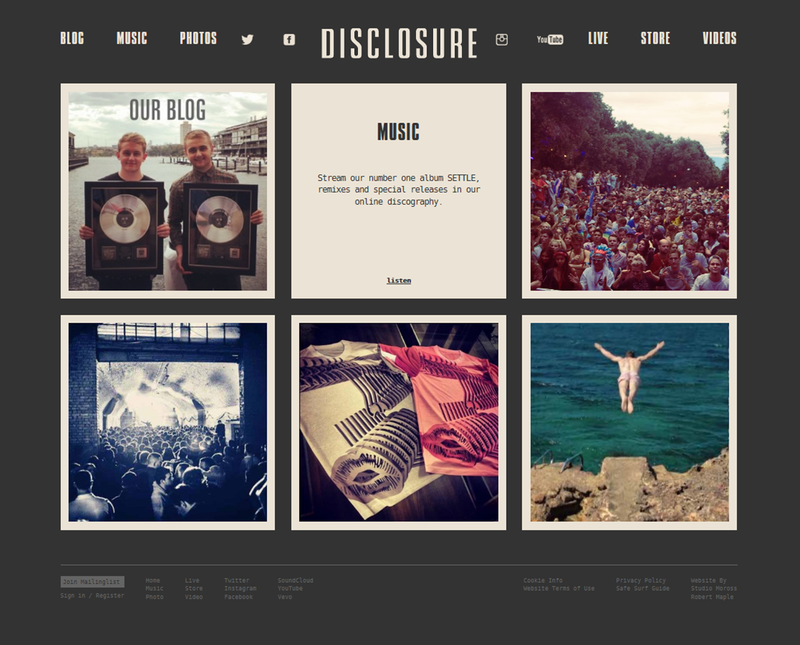 The non linear layout of Disclosures website was really easy to navigate. I liked how all the options were on one page rather than having to scroll trough pages. Also the pictures disappeared when you scrolled over them with the cursor, which I found cool.